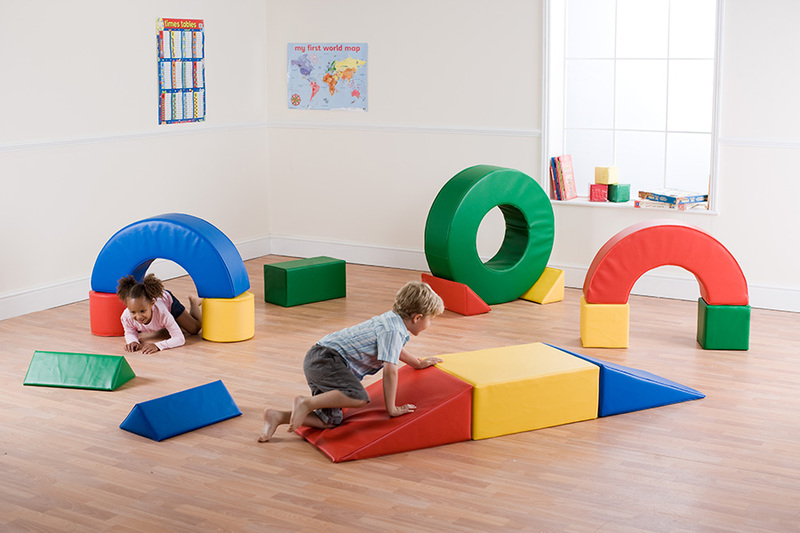 The large soft play building blocks set includes 15 large foam shapes which allows children to construct obstacle courses, build up and knock down for a fun play time. Designed for use in schools, pre-schools and nurseries, this soft play set is perfect for climbing on, under, over and will provide children with hours of fun physical activity. The brightly coloured soft play set comes complete with a holdall bag which can hold the compete kit, making storage and transportation easy. Manufactured using a dense foam which is covered with a soft touch vinyl which is closed-stitched sealed to ensure the covers are not removed. Each cover is colour-fast, stain resistant and can easily be maintained with its easy clean surfaces. Manufactured to order and dispatched within 3-5 days. Please note: for this product delivery is free to most areas of mainland UK. Please check our delivery page for postcode exceptions where a delivery cost will be charged. 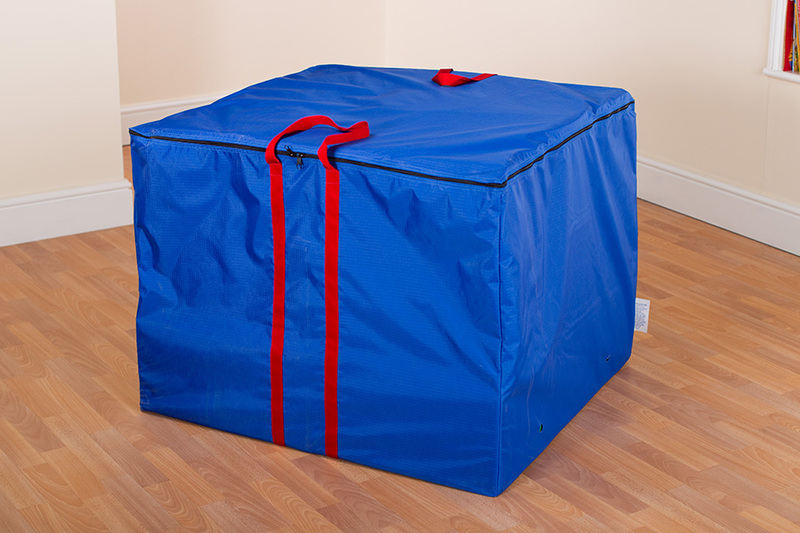 For residential locations this soft play set will incur a delivery surcharge – please call for more information.